It’s crazy how much “ice attacks” play a role in pop culture. In Poke’mon, creatures who fight using ice is a common thing. 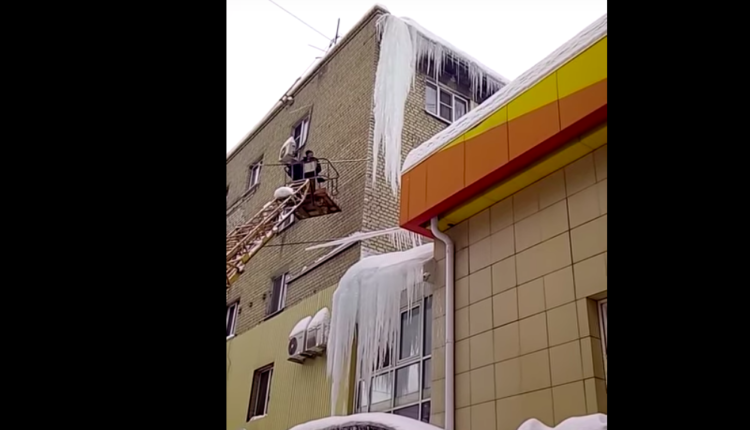 In Frozen I feel like there were a good amount of ice attacks towards the villains, and in our reality, or specifically in Saratov, Russia, the power of the mighty icicle can be felt left and right. Beware the attack of the mighty terrifying ice! 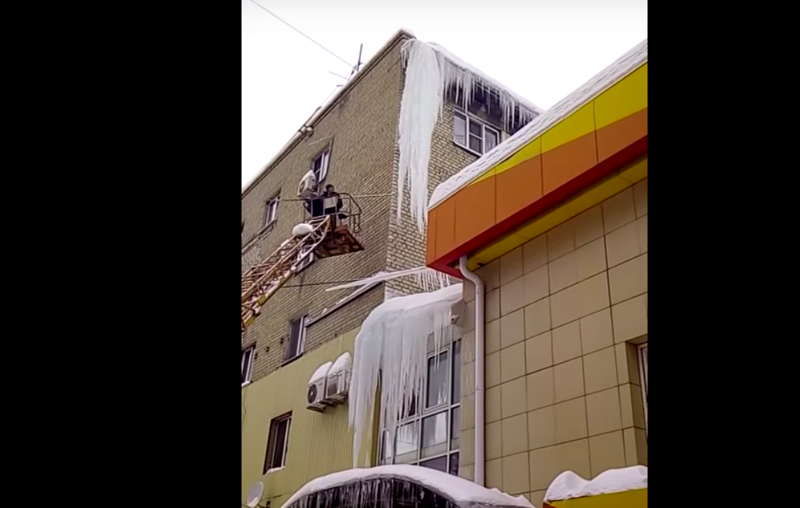 In the video below, we see a man trying to clear icicles until he carves one off too big for the world of ours, and it comes crashing down, destroying a roof in the process! Fear the powers of nature! Fear the almighty gravity and dropping of ice! It is chaos, this nature! It is too much! Have a safe winter guys. Just remember, global warming will make the all mighty powers of snow all the more dangerous. I’m not saying that the melting of the ice caps will unearth an ancient dark magic that will bring the snow creatures to life, but I’m saying, just– quit driving your SUV if you want to avoid the terrifying frost beings. Or quit eating meat. The easiest thing to stop doing. Cut it out, alright, guys? Do you want more crazy videos of snow related mayhem? Here’s a video of a teen Olympic snowboarding champion who slept through his alarm, arrived late, and still won somehow! Jeez! The interview with him is bananas on its own! Or check out these elaborate Japanese snowmen! You wanted a nerd snowman? Folks, you’ve gotten a nerd snowman. Truly snow technology knows no doubts. I guess we’ll end this entire thing with this pretty cool video of a train driving into some thick snow in slow motion. Exciting! Gaze upon it! Witness it with your eyes! Rub them in shock! Alright. What do you think of the icicle video? Let us know in the comments or on Twitter at @WhatsTrending.